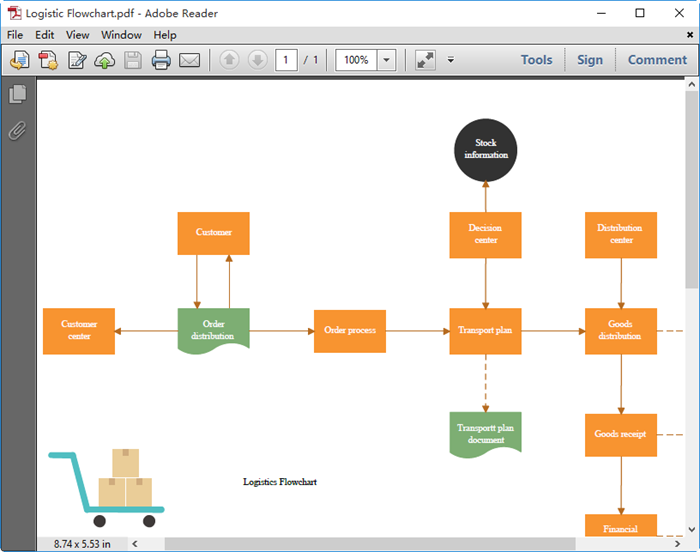 Edraw Flowchart maker is a cross-platform flowchart software and fully compatible with Microsoft Office, which enables users to convert flowchart to PDF very conveniently. As flowchart popularizes, people have the need to share their beautiful flowcharts to their friends and colleagues. Then how to convert a flowchart to PDF? This article will give an example to illustrate how to convert flowchart to PDF format. How to Convert Flowchart to PDF? Following are four steps to convert flowchart to PDF with Flowchart Maker. Click Open to open a flowchart you recently created. Go to File -->Export & Send, select PDF,PS,EPS --> PDF Vector Format. Browse your computer and choose a location to save your PDF file. Then you get your flowchart successfully converted to PDF with just several clicks. Below is a converted PDF example. Why Do People Choose Flowchart Maker? Choosing good diagram software saves people lots of time and energy. Edraw flowchart maker is this kind of smart software. Following are reasons why it gets more and more popular. It makes diagrams more eye-catching by shapes and data linkage, hyperlinks insertion, notes and attachments addition, and so on. 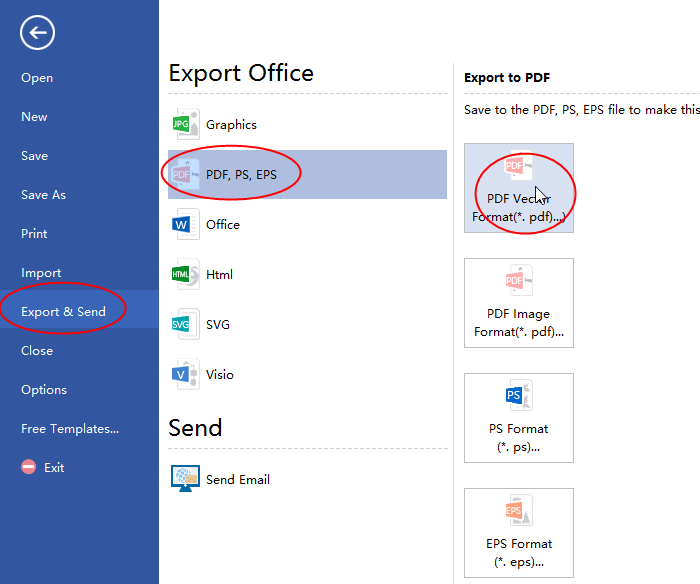 Users can import and export files to different formats easily with just a few clicks. 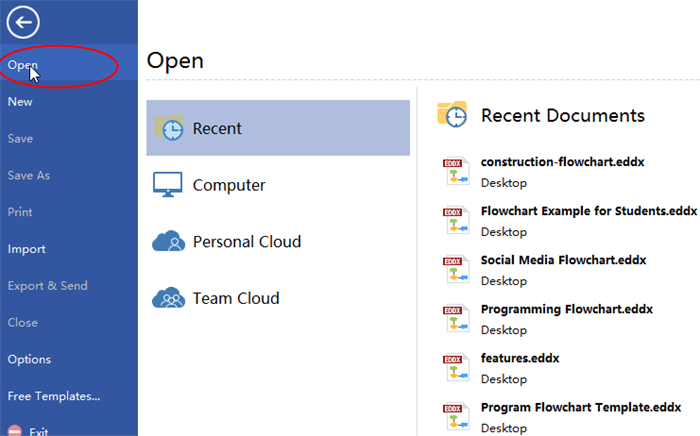 Built-in Symbols and Customizable Templates. An all-inclusive diagramming software for OS X that is capable for 260+ drawing types including flowcharts, mind maps, org charts, infographics, floor plans, AWS network diagrams, Gantt charts, electrical schematics... and that is just the beginning!